The housing market is well on its way to healing after the downturn in 2007. Right now mortgage interest rates are www.freddiemac.com significantly low as compared to years past. This is great news for current homeowners looking to lower their monthly mortgage payment! It is also great news for those who like to invest in real estate and want to get the most out of their investment. If you own real estate and you have not refinanced your mortgage recently you may want to check your current interest rate against what is out there. If you want to borrow against your real estate to increase your liquid assets or conduct some home improvement projects, now may be a very good time. While a mortgage broker or lender will be best suited to help you shop for the best interest rate and APR, you will need an attorney to assist you with the refinancing process and close on the refinancing transaction. The DLO team is equipped to help you with your real estate financing needs. We will work with your lender to get you through to closing on your refinance as smoothly and efficiently as possible. We want you to understand what you are signing at closing so you can feel confident in the terms of your mortgage loan, and know that it suits your needs from primary residences to investment property. Want more information? 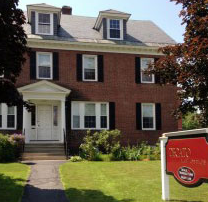 Contact us anytime by phone or email, and/or stop in and see us at our Open House, June 13th at Decato Law Office located at 84 Hanover Street in Lebanon.